Incline junior Jace Harmon sinks a birdie putt on hole No. 17 Thursday, May 4, at Edgewood Tahoe Golf Course. South Tahoe's Marcus Slack tees off on the 10th hole. South Tahoe's Dalton Drum putts on the 16th green. 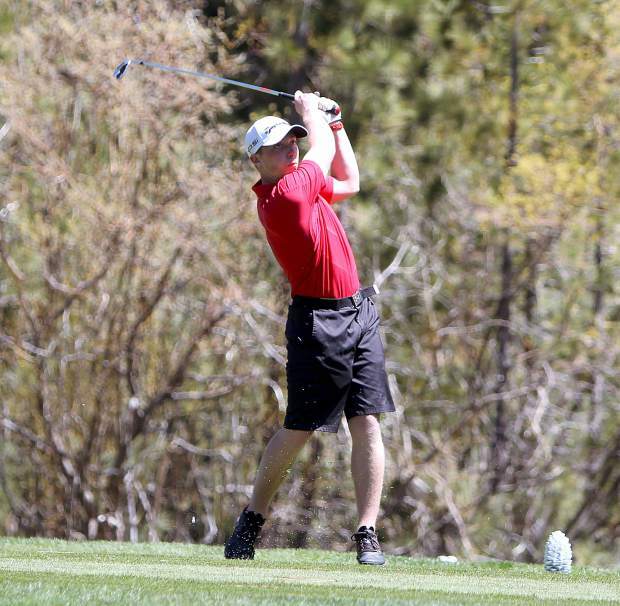 Incline's Ezra Brigham tees off on hole No. 17 Thursday, May 3, at Edgewood Tahoe Golf Course. Incline sophomore Satchel Hirsch plays an approach shot on the second hole. Whittell senior Conner Huber tees off on hole No. 18. 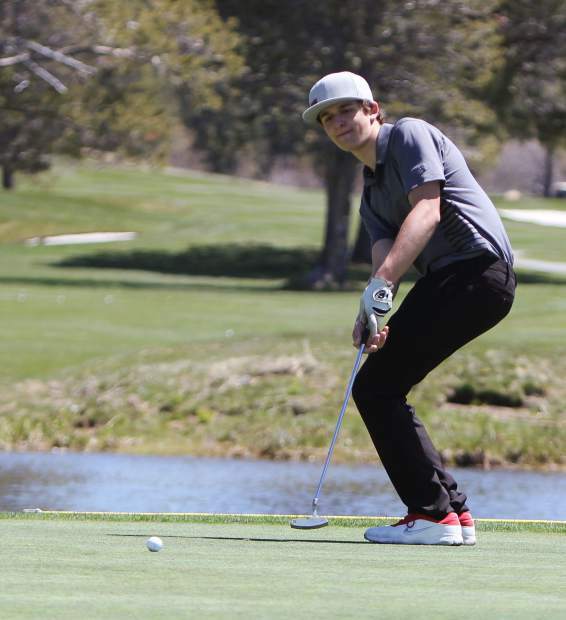 Incline's Bennet Welco tries to use his body to help steer a putt on hole No. 18 Wednesday, May 3, at Edgewood Tahoe Golf Course. 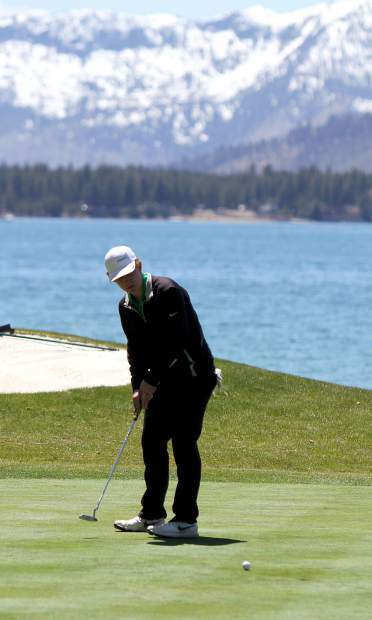 South Tahoe senior Mickey Sullivan putts on Wednesday, May 2, at Lake Tahoe Golf Course during Northern League meet. Whittell senior Alex Byer approaches the green on hole No. 2. 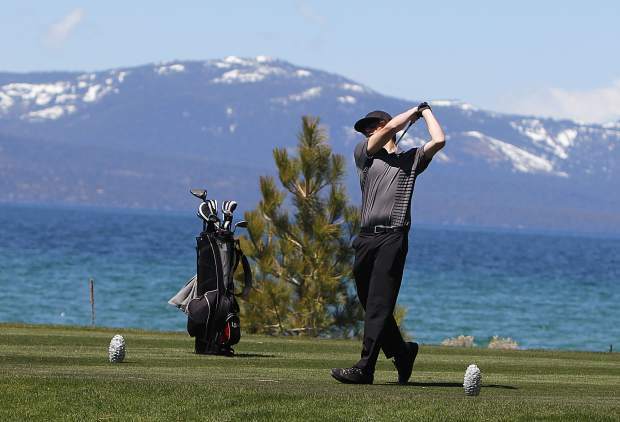 Over 100 high school golfers hit the links Thursday, May 3, for an invitational at Edgewood Tahoe Golf Course, before the public gets its chance to play on breath-taking holes alongside the South Shore of Lake Tahoe. 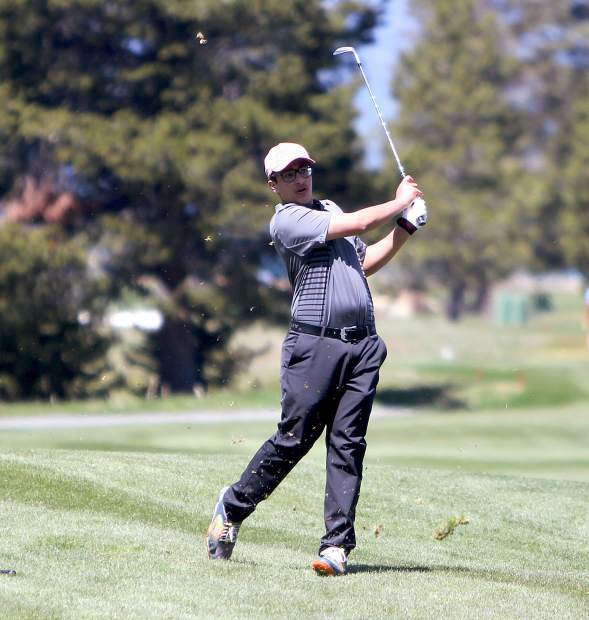 Whittell High School hosted the event and got the best of its guests in the same division, while South Tahoe was one stroke off its best score of the season and finished in third place overall out of 20 schools. The Warriors got the best of North Tahoe, Incline and six other schools in Class 2A with a 360 total from their top four scorers. Sophomore Zack Johns led the way with an 11-over par 83. Johns was followed by teammates Jon Duffy (89), Alex Byer (92) and Patrick Smorra (96). Jack Forvilly added a 108 and Corey Huber shot a 111. The best shot of the day came from one of the coaches and not the players. Maltase played with Mike Fitzgerald, longtime coach of Mineral County, and watched Fitzgerald sink a hole-in-one on the course’s most scenic hole, No. 17. Playing from the white tees, the hole measured about 140 yards and is just feet away from the shores of Lake Tahoe. The tee shot runs parallel to the lake, making it hard to pay attention with such a magnificent view of the lake and surrounding snowy mountains. “If I was going to hit a hole-in-one, that would be the hole I’d want to ace,” Maltase said. 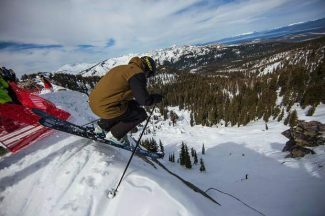 South Tahoe’s Marcus Slack was the top scorer for the Vikings for the second day in a row. Slack shot an 82 to lead a group of Vikings who all scored in the 80s to tally their overall score. 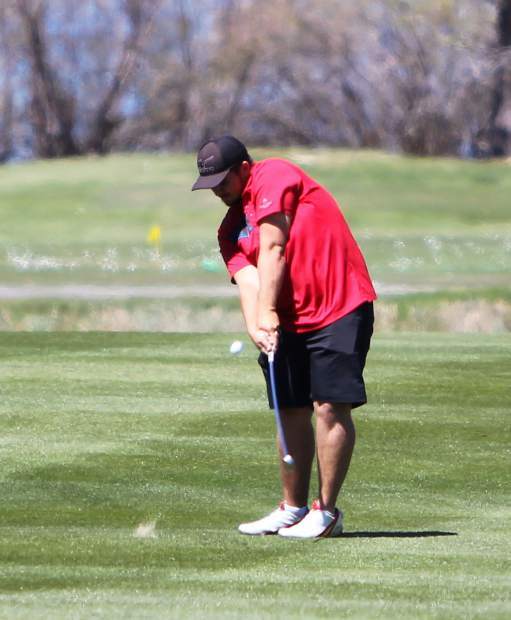 Conner Molesworth recorded an 86 and Mickey Sullivan and Bailey Sommerfeld each carded an 87. Cody Pakes and Dalton Drum added a 93 and 96, respectively. “The kids all love playing here, in this tournament,” said Vikings head coach Nathan Crnich before the tournament started about 90 minutes late. 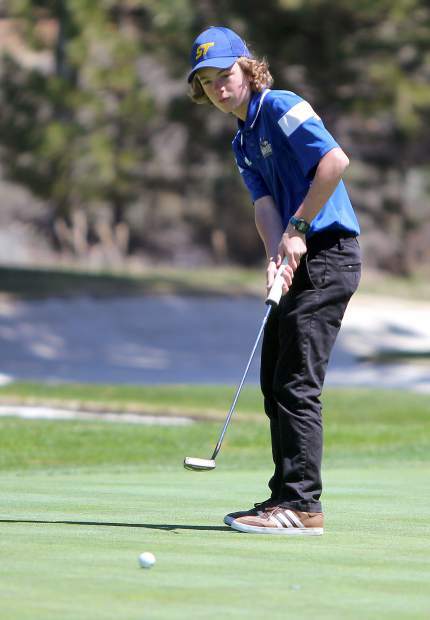 The day before, the Vikings hosted a 3A Northern League match at Lake Tahoe Golf Course and came in third place, just one stroke behind second. 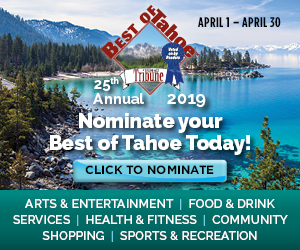 South Tahoe is in third place in league, the last playoff qualifying position. 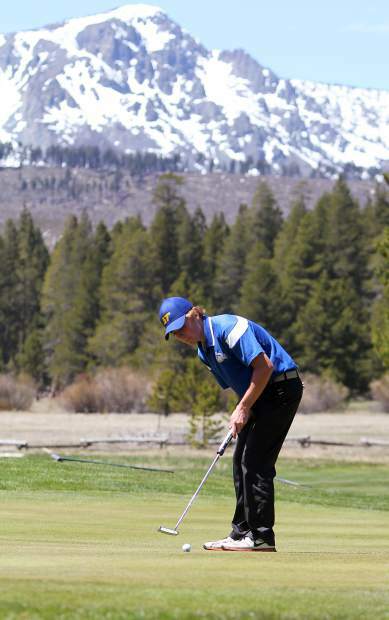 The Vikings have one league match remaining, Wednesday, May 8, at Old Greenwood Golf Club in Truckee, and are just three points ahead of fourth place. “Nothing is locked up as of now,” Crnich said in a Twitter post. 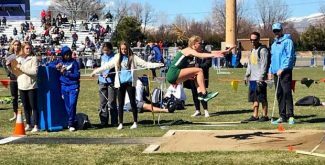 The Incline Highlanders didn’t produce their best performance at Edgewood. 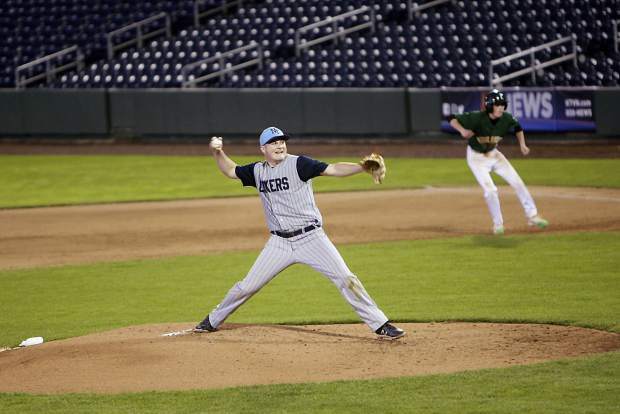 Highlanders head coach Sam Canino said he’d never seen his best player, Satchel Hirsch, shoot above 80 before. But the sophomore recorded an 89, which was still just good enough to lead his team. Hirsch was followed by scoring teammates Paul Larson (90), Ezra Brighham (98) and Matt Paolilo (106). Johnny Redfern added a 110 and Bennet Welco recorded a 125. Incline and Whittell next will play in the Nevada Interscholastic Activities Association’s 2A Northern Region Boy’s Golf Championship tournament on Tuesday, May 8, at the Toiyabe Golf Club (par-72) in Washoe Valley. 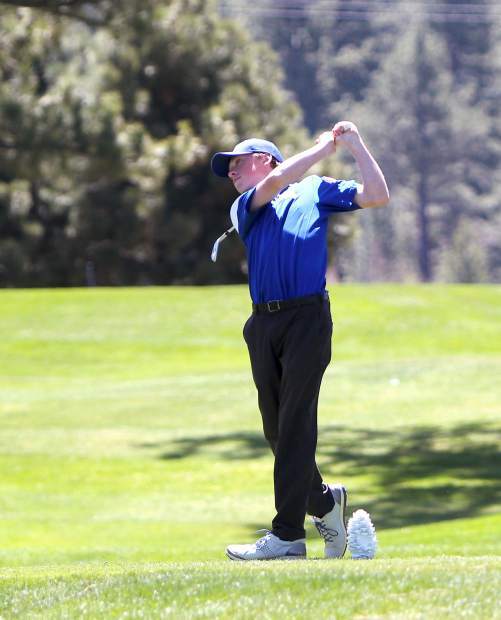 The top three teams and five individuals not on those teams will advance to the state tournament, which will be played Wednesday and Thursday, May 16-17, at Boulder City Municipal golf course in Boulder City, Nevada.